INGLOT nail enamels are available in a rainbow of colours with different textures and finishes. The products ensure high coverage and their special brushes make them easy and precise in application. 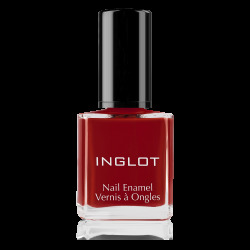 The products include nail enamels with glittering particles, enamels with glitter or matte finish, nail enamels for men and revolutionary O2M breathable nail enamels that ensure air and water permeability. The collections are regularly updated with new shades inspired by the latest trends. There are 291 products in 6 category.